The folks at MacSales.com got their hands on a new iMac Pro and of course got down to tearing it down to reveal what’s on the inside. The iMac Pro is a gorgeous machine on the outside, but as this video shows, it’s far more beautiful on the inside too. The tight integration of components in the little available space is handled incredibly well by Apple. 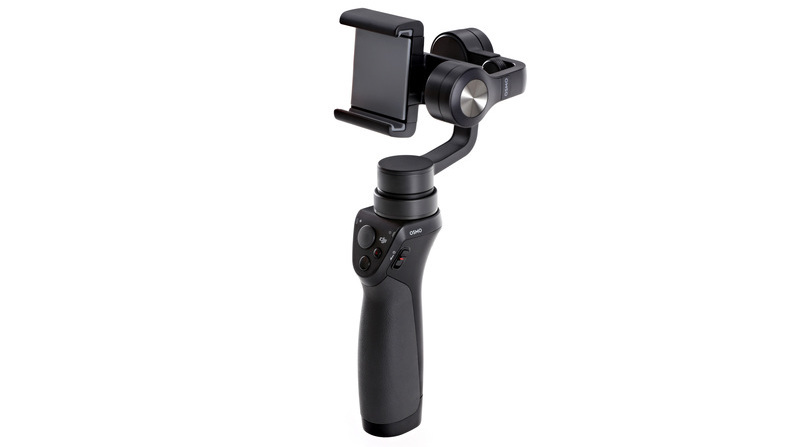 DJI — the market leader and a popular name when it comes to drones or professional stabilizer rigs has today announced the Osmo Mobile — a new handheld stabilizer system for your smartphone. The Osmo Mobile is the newest product in DJI’s Osmo lineup that began with the DJI Osmo launched last year and expanded with the introduction of the Osmo+ last week. Unlike the original Osmo or Osmo+, Osmo Mobile does not ship with its own camera system and instead relies on your smartphone to do all the shooting. The Osmo Mobile works as a handheld stabilizer for your smartphone, allowing you to shoot high-quality, smooth and cinematic photos and videos. Using the DJI Go app on your smartphone, you can also live stream your footage or share it instantly to the usual social media channels. Included in the DJI Go app is the company’s new ActiveTrack feature that allows you tap the screen and mark objects in motion, so that the camera stays focused on them, resulting in perfectly framed shots. The Osmo Mobile works with most modern smartphones sized between 2.31 inches and 3.34 inches, including the iPhone 6/6s Plus and the Samsung Galaxy S7. The New York Times has a great piece on Netflix titled, “Netflix’s Opaque Disruption Annoys Rivals on TV”. The article talks about how Netflix, which has around 70 million subscribers around the globe, has never published its show ratings or has no plans to. There is a very natural inclination to say, ‘Relative to this show, this show is a failure.’ That puts a lot of creative pressure on the talent. I signed up for Netflix after their global availability announcement at CES 2016 and have been a happy subscriber since then.